Written and Directed by Jordan Peele. 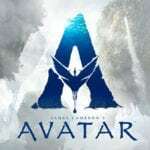 Starring Lupita Nyong’o, Winston Duke, Elisabeth Moss, Shahadi Wright Joseph, Evan Alex, Tim Heidecker, Yahya Abdul-Mateen II, Anna Diop, Madison Curry. A relaxing vacation soon turns into a night of terror when a family are tormented by four mysterious strangers who look exactly like them. From bingo to bone china, Jordan Peele knows what really scares us. A seamless blend of funnies and frights, the comedian-turned-director made waves in the horror genre with his scary, smart, satirical smash Get Out. After doing the seemingly impossible and making meeting the in-laws for the first time even more terrifying, two years on, he’s back for a second helping of spine-tingling. And, this time, the fear is much closer to home. A high-concept premise coupled with an enigmatic trailer, Us — a home-invasion horror with an (un)welcome new visitor: the doppelganger — is an easy sell. But, much like the juxtaposition of a maniacal, racist, middle-class family of white liberals who would have voted for Obama for a third time if they could, expectation can be both friend and foe. A weighty task indeed, just how do you go about topping an Oscar-winning debut? The answer, it seems, comes from within us all. However, for a genre that boasts the likes of Invasion of the Body Snatchers and David Cronenberg’s Dead Ringers, seeing double is hardly a novel move. But, in 2019, rarely has a fear of ourselves felt more painfully pertinent. Put simply, Peele is, quite literally, terrifying us with Us. And, in a film about demonic doppelgangers, it’s more than a little apt that it should be a multi-faceted affair. Bookended by a cryptic message about mysterious tunnels running under America and some deeply unsettling caged rabbits, Us’ opening sequence sits firmly within the realms of straight-up horror. We’re taken to 1986, where a young girl, Adelaide (Curry), takes a wander along the Santa Cruz boardwalk. Wide-eyed and ambling amid flashing neon lights and a cacophony of rickety rollercoasters and shrieking thrill-seekers, she enters a sinister house of mirrors. Inside, she witnesses something truly horrifying. What she saw there continues to haunt an adult Adelaide (Nyong’o) as the action transitions promptly to the present day. With partner Gabe (a loveably oafish Winston Duke) and children Zora (Joseph) and Jason (Alex), the family travel to a relaxing, remote holiday home by the sea. But Adelaide’s lingering anxiety soon turns tangible when, come nightfall, a group of menacing strangers, clad in red and each wielding a pair of scissors, besiege their house. Known only as ‘the tethered’, the motives and origins of the assailants are a mystery — details left to patiently simmer away in the shadows until the more profound pieces of Peele’s sinister puzzle eventually fall into place. As such revelations begin to manifest, the conventional genre set-up is unmasked, revealing a deeper, darker exploration into notions of duality, repression and image. Crucially, though, Peele’s heavy subtext is never overbearing. The product of a filmmaker who fully understands the genre he’s operating in, Us is horror at its most deliciously devilish. A brooding aura of encroaching dread grips from the get-go, infused with a refreshing refusal to rely solely on cheap genre party tricks. Rather, this is meticulous, ambitious filmmaking where the scares are disturbing and the motifs, be it bunnies or Bible references, plentiful. 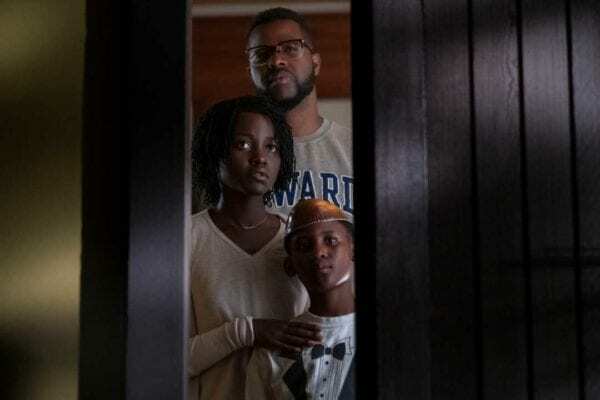 Not all of the breadcrumbs lead to satisfying destinations, however, and the narrative feels notably less polished than Get Out. But what it might lack in fluidity, Us more than makes up for in a ferocious flurry of nightmarish visuals. Plucked raw and wriggling from the darkest recesses of the subconscious, Us has creepiness in abundance, thanks in no small part to the work of the film’s central quartet — namely, the impressive Nyong’o — as the doubles to their respective characters. And, while it plays things a little straighter than his first foray, Us isn’t immune from occasionally jabbing its tongue firmly into its cheek — N.W.A’s less than complimentary track about law enforcement plays out during a particularly grisly sequence where, low and behold, there is a discernible lack of police presence. Since Us premiered at the SXSW Film Festival a fortnight ago, its auteur has been the talk of Twitter town, lauded by many as the Alfred Hitchcock of horror’s 21st century scene. Let’s make one thing abundantly clear: he’s not the next Hitchcock. He’s very much the first Jordan Peele. Us is testament to that. George Nash is a freelance film journalist. Follow him on Twitter via @_Whatsthemotive for movie musings, puns and cereal chatter.